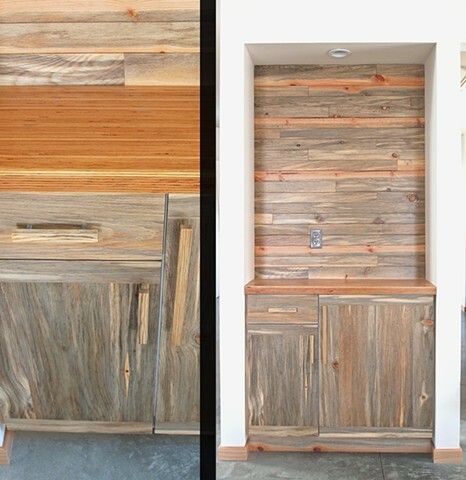 Dry bar with blue pine door fronts as well as wood wall above. The counter top is Microlam (LVL) cut to reveal the parallel lines on the top and front edge. The pulls were handmade to fit the cabinet using stainless steel posts to support the various sized wood handles.